A decorative hut with souvenirs at the artificial lake in Ab-o-Atash Park (Water and Fire Park. 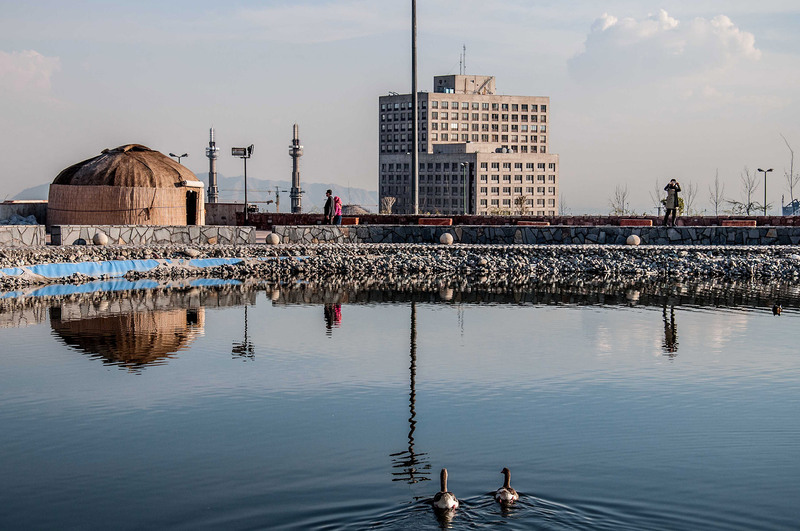 The offices of the Bonyad e-Mostazafan Foundation are in the background. Bonyad is the biggest holding company in the Middle East. The army and the clergy control the foundation. The Foundation also enjoys tax exemption, customs privileges, preferential access to credit or foreign exchange and regulatory protection from private sector competition. The big question remains; did the foundation play a 'nuclear' role? March 2014, Tehran.